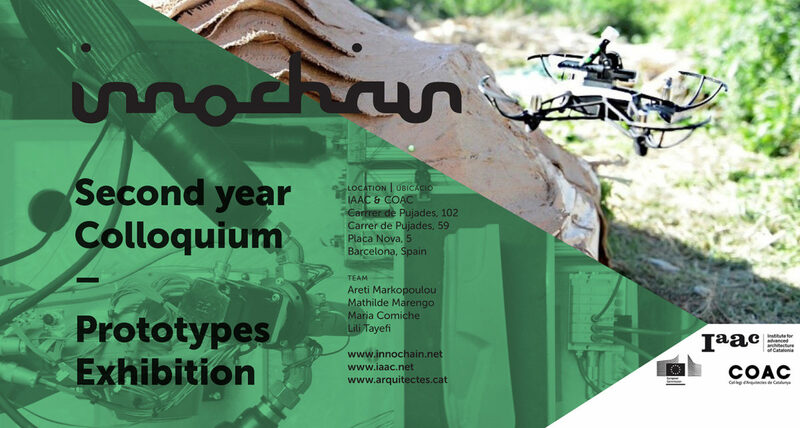 On the 3rd evening the InnoChain Exhibition “PROTOTYPES” will be opened. This event takes place at IAAC. The show runs until the February 28, 2018. The exhibition focuses on the role of the industry collaboration as a driving force for the development of the InnoChain project. The approach and highlights of the industry collaborations will be presented through videos and initiate a dialogue on what is the interest for both sides to accelerate research and development in the Building industry. The preliminary outcomes of the collaborations will be illustrated through a series of prototypes.